CCCC attendees may want to participate in an informal small group run through Discovery Green, across the heart of downtown, and into the beautifully landscaped Buffalo Bayou. Runners are encouraged to meet in the lobby of the Hilton Americas – Houston facing Discovery Green at 8:30 a.m. on Saturday, April 9. One or more members of the Hospitality Subcommittee will lead the group east-west across downtown and to the Buffalo Bayou Trail. Buffalo Bayou Trail from Walker St. Prospective runners should monitor the weather before running. The average daily high temperature in Houston during April is 79 °F. Click here for more information about the city’s typical April weather. Also, although the group will cross streets at crosswalks and heed all pedestrians laws, runners should watch for unlawful drivers. 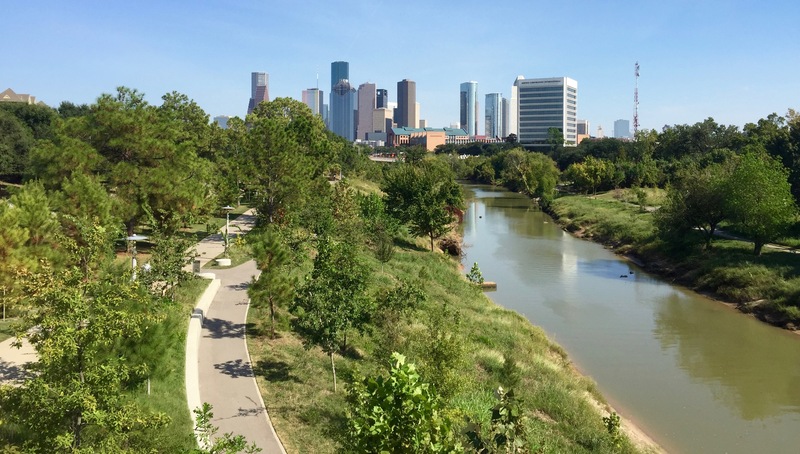 Eventually, the Buffalo Bayou Trail splits into multiple paths paralleling and crisscrossing the bayou. The area attracts walkers, bicyclists, pedestrians with dogs, and experienced runners alike. 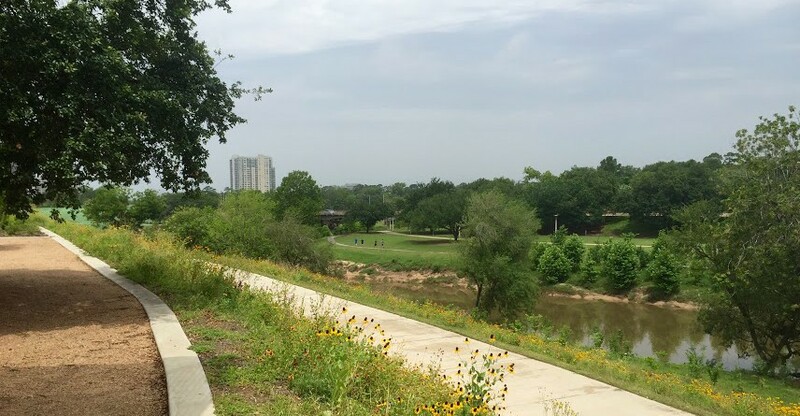 Eventually, Buffalo Bayou connects to Memorial Park, the largest park inside the 610 loop. Cut south-north across Discover Green. Turn left (northwest) onto McKinney St. and proceed ten blocks–through the heart of downtown. Turn right onto Bagby St.and proceed one block. Turn left onto Walker St., by the Hobby Center for Performing Arts, and proceed until the sidewalk connects to the Buffalo Bayou Walk. Continue along Buffalo Bayou using whichever path you prefer. The trail is five miles long.